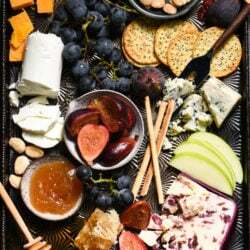 What better occasion to choose something from my “Party Bites” Pinterest board than my friends and I pretending that we are grownups by having a cocktail hour. Ok, we sort of actually ARE grownups. It’s true. But we also play in an adult kickball league, so we walk a fine line. Angela over at Joyously Domestic is like the wonton cup queen. She keeps making different varieties of them, and I keep pinning them. I’d actually never worked with wonton cups before, so I figured it was time to give them a try. I decided on doing a riff on Angela’s Fresh Veggie Pizza Wonton Cups, as well as her Buffalo Chicken Wonton Cups. Let me tell you, I am officially in love with wonton wrappers now! They are SO easy to work with; you get like, 1 million of them in a package for $3; and in 8 minutes, you can bake up some of these cute little cups in the oven. Then fill them with whatever you want. Boom! Party appetizer. I think they sort of look fancy and like you spent a lot of time on them, but you didn’t at all! Because it was a warm day and I didn’t want to stand in front of a hot oven in a cocktail dress for any longer than I had to, I decided to take the buffalo chicken one in more of a cold salad direction instead of Angela’s original hot appetizer. For the veggie pizza one, I changed up the filling just a little bit by using a packet of ranch dressing seasoning I had leftover from some recipe testing awhile back. I made both fillings and chopped garnishes the night before, so all I had to do the day of the cocktail hour was bake the cups real quick, and then fill them up. The only “problem” I had with making these is that while baking my first batch, some of the wonton cups folded in on themselves. That was easily corrected for the second batch just by taking care to press the wrappers onto the sides and bottoms of the muffin cups, making sure they were somewhat flush against the walls of the cups. I’m pretty much in love with these things now, and will probably make them for any and all future parties I host or am invited to. I’ll keep making them until people tell me to stop, basically. Friends, you’ve been warned. 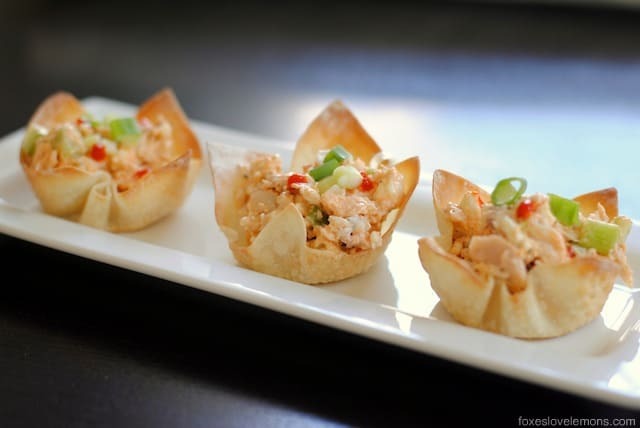 Wonton cups are most definitely in your future. Preheat oven to 350 degrees F. Spray 2 standard muffin tins with nonstick spray. Press 1 wonton wrapper into each cup, taking care to press again bottom and sides of cups. Lightly spray wrappers with additional nonstick spray. Bake 8 minutes or until golden brown and crisp. Remove wonton cups from muffin pan and transfer to a cooling rack to cool completely before filling. In a small bowl, stir together seasoning mix, cream cheese, sour cream and garlic powder. 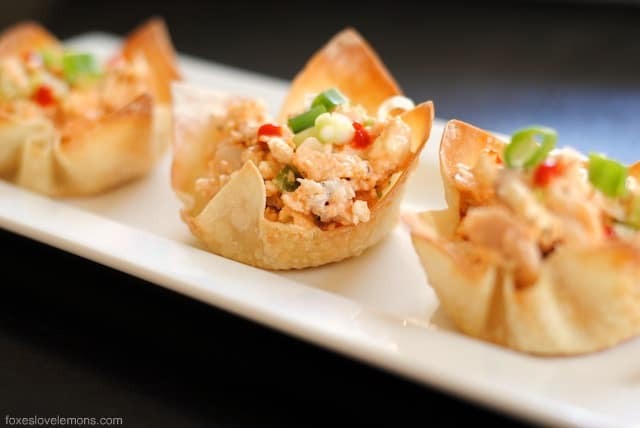 Dollop a heaping tablespoon of cream cheese mixture into each baked wonton cup. 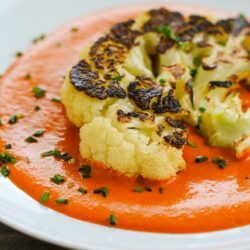 Top with veggies. In a medium bowl, stir together chicken, ranch dressing, blue cheese, celery and buffalo sauce. You may need to add a bit more ranch dressing, depending on the texture of chicken you started with. You want it to be thoroughly coated in sauce, but not too wet or anything. Refrigerate at least 30 minutes or up to overnight to allow flavors to come together. Divide chicken mixture between baked wonton cups. Garnish with green onions and additional hot sauce, if desired. These were the perfect appetizer before Sunset At The Zoo. For those who are not in the know, it is basically an adult prom (complete with games, food, drinks, and dancing) at the Detroit Zoo. Events like these definitely make our friends feel like adults, act like adults, and eat like adults. We’re adults – sad, but true. That would be fun, I would participate for sure. Thanks Suzanne. No real contest, the “Pinterest Challenge” is just something I came up with to challenge myself. haha 🙂 It’s a good idea though – maybe I can round up some other bloggers and we can all take on some Pinterest recipes together. Good luck on the contest, I’d vote for you, your little appetizers are wonderful, love the wonton wrappers and filling, cream cheese and buffalo chicken, yum!! Your photo say’s it all, it’s just beautiful.